Plunge into a selection of performance swimwear and set stellar records with the latest men's swimwear collection. Our range keeps you going with the latest in swimming technology. 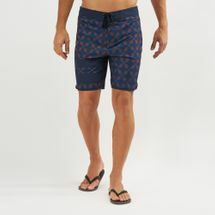 Whether it’s an open water race suit, a thermal rash vest for surfing sessions at the beach, or a pair of board shorts for lounging by the pool, our men’s swimwear collections are versatile, high-performing and ideal for fun in the water all day long. Browse our latest range of beach wear and swimwear and shop online with us today. 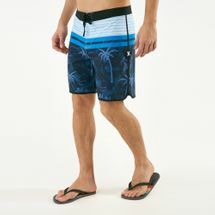 At the Sun & Sand Sports online store we sell the very latest men’s swimwear range online, keeping you up-to-date and on trend. 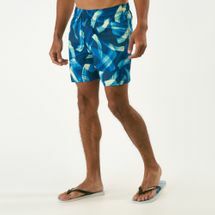 Men’s beach wear has evolved through the years into a trend; at present, it transcends through various pegs like yoga, fitness, active sports and more, but ever since its inception, men’s swimwear has gone through several design changes to keep it on par with the latest trends. From the traditional skivvies in 1880 to the modern swim trunks, swimwear has changed through the ages. The very first prototype of the modern bathing suit was deemed flawed as it kept chaffing against the skin and couldn’t stand the heavy pressure of the waves. During the 1920s, the knitting mill was going through several changes for bathing suit styles. Some of these styles included a one-piece suit with deep armholes and closed leg trunks. However, it was Latex - a synthetic rubber yarn fabric that made all the difference. As the style changed to a more beach-like attire, the synthetic fabric gave greater control and accentuated an individual’s body type. For a trim appearance, the athletic supports were sewn right into the trunks for superior comfort. It was the 80s and the 90s that marked the apparel’s peak with bold prints, floral patterns, mesh and textured fabrics, sleek designs, not to mention the use of colour-blocking paired with street, urban and laidback beach vibes. 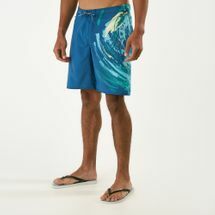 Trunks and board shorts became a statement piece for most while the jammers, speedos and wetsuits were aimed at enhancing the athlete’s performance. 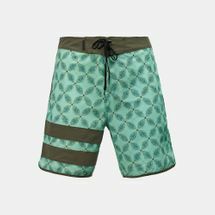 Keeping the various swimwear needs a priority, we’ve now introduced a section for men’s swimwear online so that you can shop for your next swim right here at the Sun & Sand Sports online store. Backed by a roster of world-renowned brands, begin your online shopping journey with us now and have your order delivered straight to your door in Dubai, Abu Dhabi and the rest of UAE. Ride the waves of the trendiest men’s swimwear by signing up to the official Sun & Sand Sports newsletter.